Woodworm Season - Beat the Beetles with Twistfix! As we finally begin to emerge from condensation season, something else is emerging - woodworm beetle! For profes­si­onals, this means making sure you are ready for the many new potential contracts with the Twistfix collection of Woodworm Treatment products and, for property owners, means using our highly-successful Find-a-Contractor scheme to ensure your structure is treated using the best possible products. 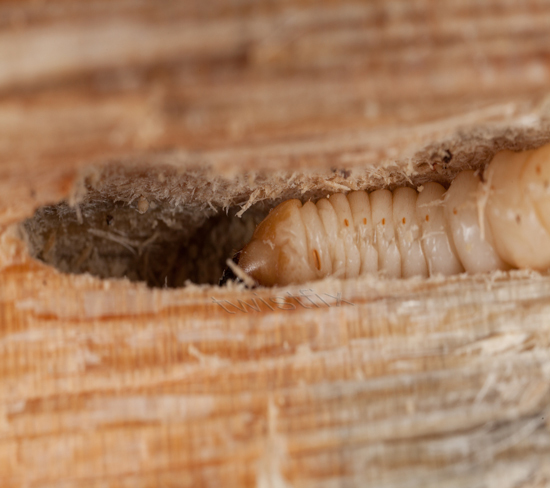 ‘Woodworm’ is a term that is used to describe several insects that make their home inside timber. 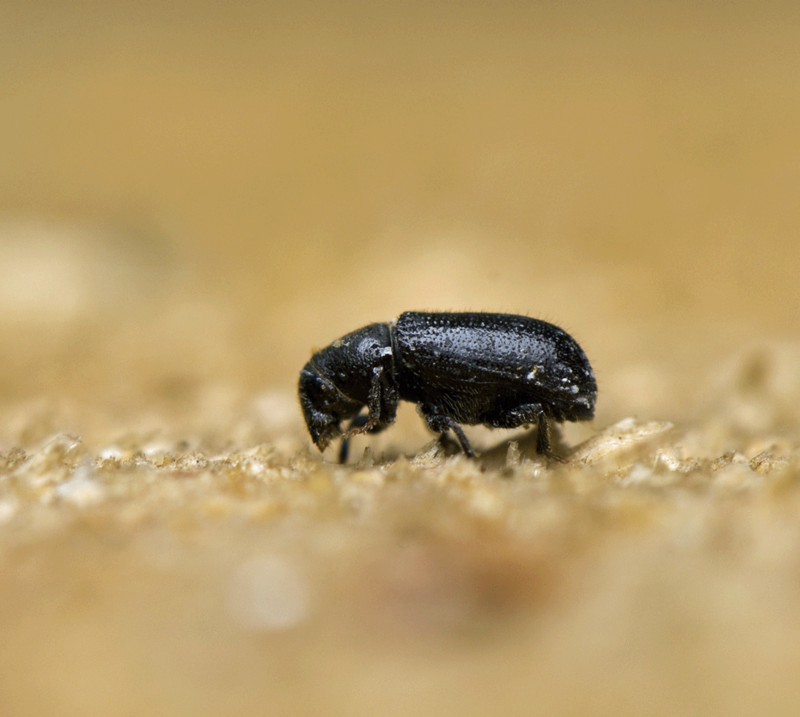 The most widely-found wood-boring insect in this country is the Common Furniture Beetle though, not just restricted to furniture, will readily infest other timber such as skirting boards, rafters and floorboards. Exit holes. The larva of wood-boring insects burrow deep inside timber. They continually eat through the wood for up to 3 years after which, larvae will pupate and after several weeks the adult beetles emerge. During the breeding season, the adult woodworm beetle makes its way to the surface, where it leaves a small but distinct hole upon its exit. But how will you tell whether holes are truly indicative of an active woodworm infestation? Frass. This presence or absence of this fine sawdust-like powder is a good indicator of whether the wood-boring beetle infestation is active. 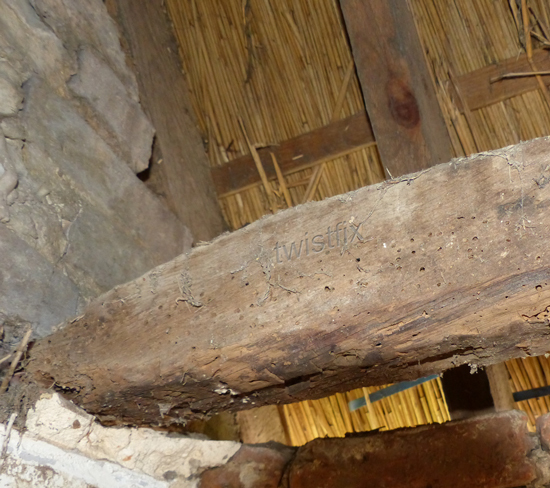 Frass is created as the woodworm beetle eats its way out of its timber home. Upon exit, some of this 'sawdust', commonly known as ‘frass’, can be found within and around exit holes. Woodworm beetle damage. Wood that is heavily infested may become weak, with hollow tunnels deep inside the wood; it may feel brittle to the touch and begin to flake or come away. Insects. 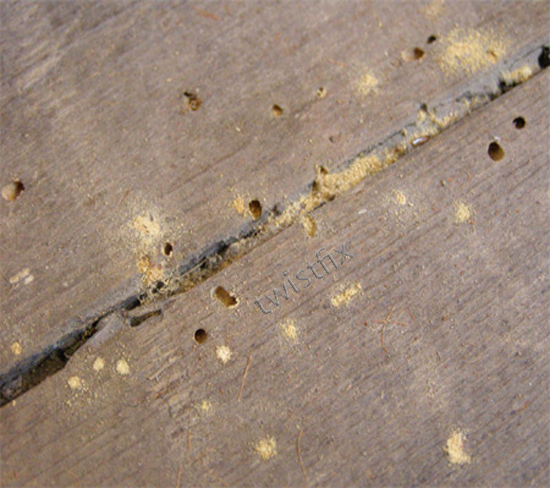 During woodworm flight season, dead beetles can often be found surrounding the infested area. Many people have even seen live beetles emerging from timber. 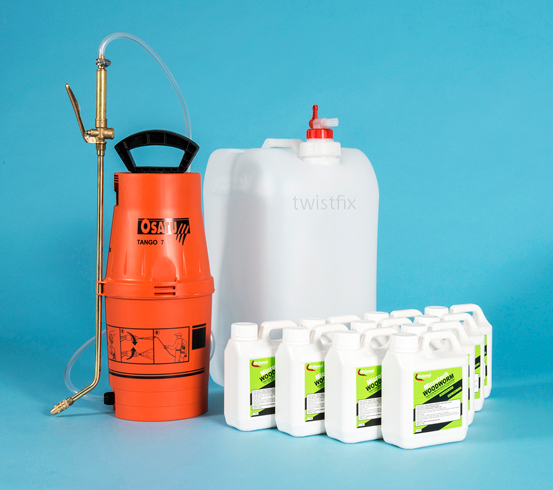 The Twistfix collection of woodworm treatments centres on our micro-emulsion insecticide, which is supplied in concentrated form and efficiently eradicates infestations of woodworm beetles and other wood-boring insects. The treatment includes an effective wood preserver that protects against future infestations and can be supplied as part of a comprehensive kit which includes mixing container and professional spray unit with brass lance for flexible, adjustable spray control. As with all insecticidal treatments, the proper safety equipment and clothing MUST be used during operation. Woodworm killer supplied by Twistfix is registered for use only by professional builders and, as it is such a powerful chemical, can not be transported over water, meaning delivery of this product is available in the UK only. Save up to a massive 52% on woodworm beetle treatments - click here to find out more!